After years of trying to trade him away, the Jets have finally found a partner in the Seahawks. Just over 24 hours from the 53-man roster deadline, the New York Jets and the Seattle Seahawks have pulled off a monster trade. In a move that has been discussed since mid-August, the Jets have sent defensive lineman Sheldon Richardson to the Seahawks. The Jets will receive wide receiver Jermaine Kearse and the Seahawks’ 2nd round pick in the 2018 NFL Draft. The teams are also swapping 7th round picks, according to the following tweet from Adam Schefter of ESPN. So Jets get WR Jermaine Kearse, a 2nd-round pick and a 7th-round pick. Seahawks get DL Sheldon Richardson and a 7th-round pick. While the trade was expected, it certainly came as a surprise to many fans of both teams. It was a bigger surprise to fans of teams who thought they were in the market for the former Jet. The Jets have been trying to move Richardson for a few seasons and finally got it done. The team has gone all in on rebuilding the franchise and also traded former first-round pick Calvin Pryor earlier this offseason. The Seahawks, on the other hand, have been amassing former first round picks. They have acquired, either through trades or free agency Dion Jordan of the Dolphins and Marcus Smith of the Eagles, in addition to Richardson. Jordan appears to be on his way out of Seattle, though. The Seahawks are probably not done moving players. Now that they have acquired Richardson, they will attempt to find a new home for defensive lineman Ahtyuba Runin, according to Ian Rapoport. The Jets also are not out of the trade market, either. 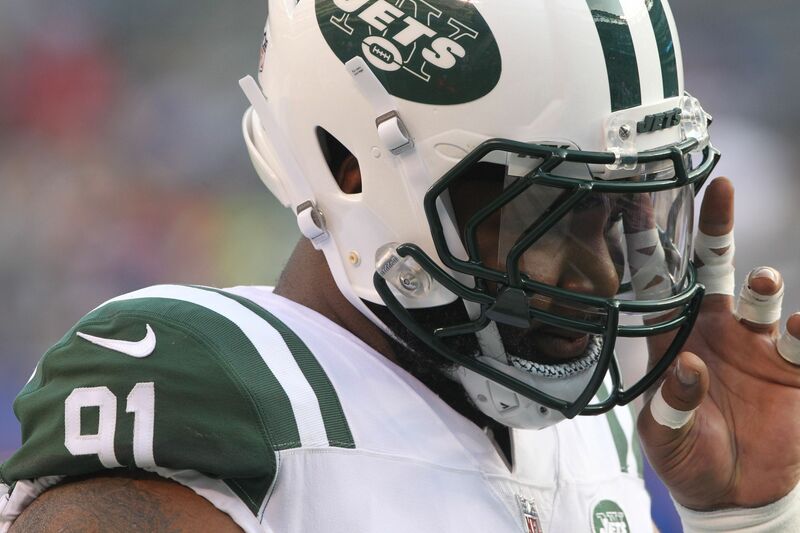 There are reports that the Jets want to trade away running back Matt Forte. It makes sense, as a 31-year-old running back will not be the cornerstone of any future team. The deal between the Seahawks and the Jets ultimately is a win-win. The Jets unloaded a guy they have been shopping for months and acquired assets for a rebuild. The Seahawks acquired a true blue-chip player at defensive tackle, taking their defense to a new level.